There has also been some confusion about where to find the Prep School Photos. Once you have created your membership account and login to the members area of the site, if you look to the banner at the top of our page to the right of our logo, you will see some headsing labeled, Blog, Classes, Galleries, Shop, & Account. To find the Prep School photos, click on the "Classes" Heading. You will see a drop down menu showing Class Years. At the bottom you can choose Prep School. 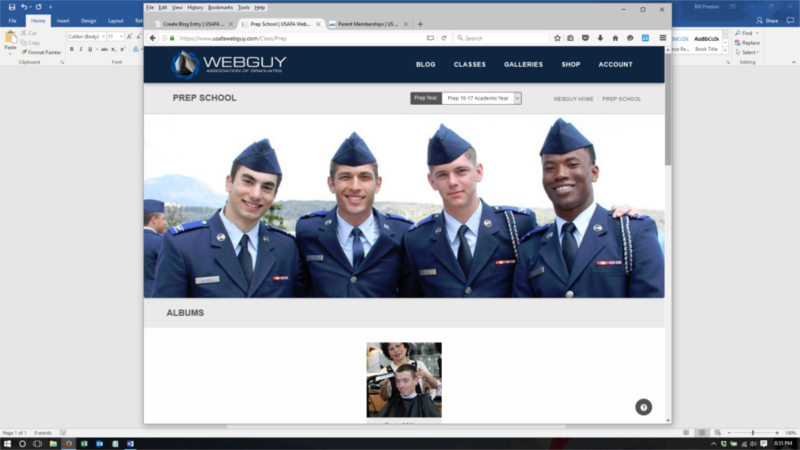 When you select Prep School, you will see the Prep School Page. (Below) At the top choose Prep 17-18 Academic Year, and Presto! You will see the correct gallery. Right now there are two albums. In-Processing & Basic Military Training. That's because that is as far as we are in to the year. Click on that Icon and you will see all the photo thumbnails. You can either view them by most recent (newest), to oldest or the other way around. I hope this info is helpful. Next order of business... What can we expect to see during BMT? Well, we will have generally have new photos every day except Sundays. Early in BMT there may be some light photo days. This is due to the fact that some days are filled with paperwork and briefings for the basics. They have to deal with finance, security clearances, ID cards, and a multitude of other mundate tasks that either don't lend themselves to photos or that we can't cover due to privacy issues. That being said, there will still be lots to show you over the next 18 days. As I mentioned in my morning blog, tomorrow is the PFT, short for Physical Fitness Test. One of the many acronyms you will learn as we go along. 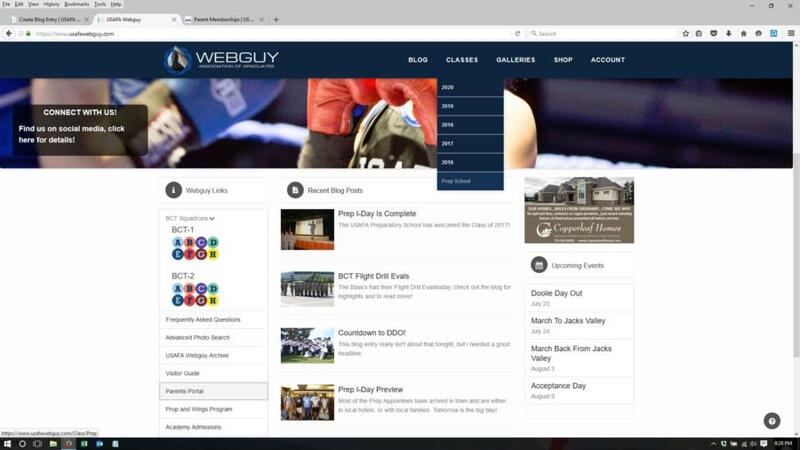 Our goal is to teach you as many as possible between now and Parents Weekend, so you will appear very cool and informed when your Cadet Candidate uses them. All the photos from In-Processing Day and the first training days are up in the galleries. Ok. That's it for tonight! Check back tomorrow for the PFT photos. Lots more to come.